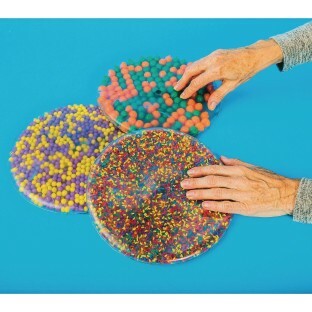 Squish, sit on, or manipulate them - an excellent therapy tool! These incredibly durable manipulation discs make excellent fidgets that have soothing, tactile, and auditory discrimination properties. 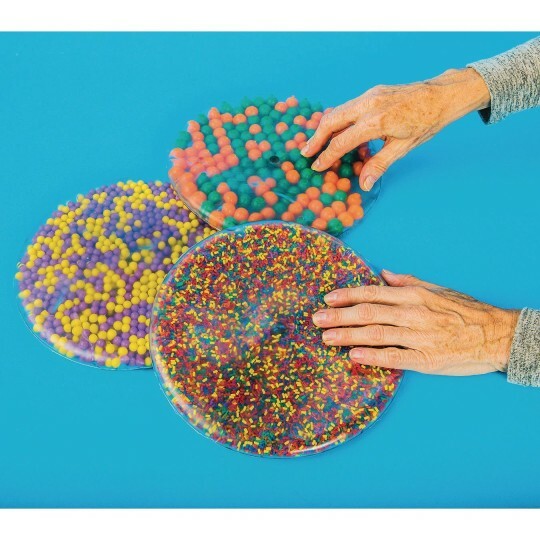 Exercise hand-eye coordination and fine motor skills. Especially useful for those who need a distraction to calm or focus. 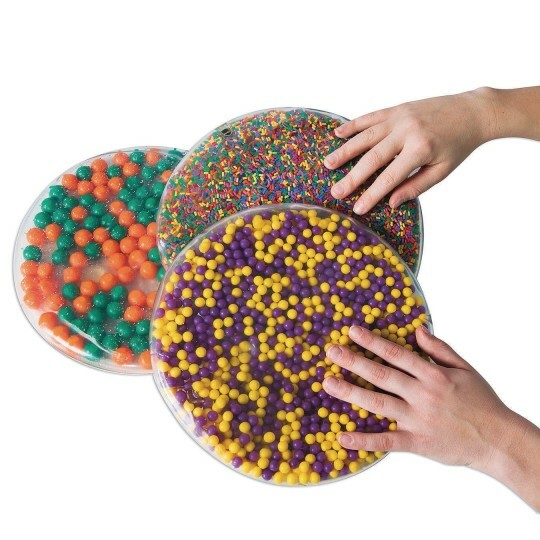 Set of 3 includes 1 disc with tiny plastic pellets, 1 disc with 1/4” plastic beads and 1 disc with a non-toxic gel and 1/2” plastic beads. Easily washable for sanitation. Assorted colors may vary. Item Care Instructions To sanitize, hand wash with disinfectant or bleach and water solution.